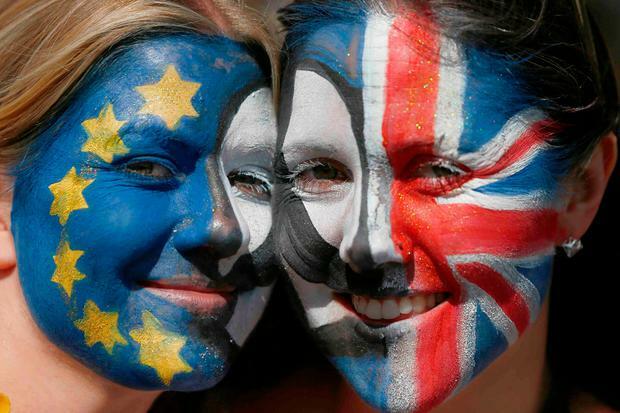 British voters would back remaining in the European Union by 53pc to 47pc if a referendum was held now, according to a major poll. Some 45pc want a say on the outcome of the Brexit negotiations with 34pc opposed, the survey for the People’s Vote campaign found. Peter Kellner, a leading pollster and former president of YouGov, said the findings were “politically significant”. “Across the spectrum, the message from voters in this survey is clear: if the government and parliament can’t sort out Brexit, the people should,” he said. Labour voters overwhelmingly said they would back remaining in the EU, some 77pc to 23pc for Leave. Most back a referendum on the exit deal, 63pc compared with 18pc. Some 73pc of those polled believe many of the promises made by the Leave campaign will be broken and 68pc fear a bad deal, with 64pc ready to lay the blame on the government.